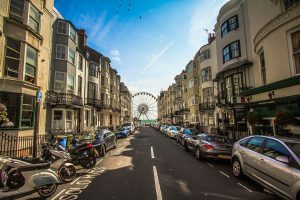 Our client, a lady in her mid-seventies wished to move closer to her family on the south coast in Brighton. She had an offer accepted on a house in Hove, but unfortunately due to the discovery of Japanese knotweed on her current property, her buyer pulled out at the last minute, putting her at risk of losing her onward purchase as the vendors were not prepared to wait for her to re-market. Completion was being demanded within 2 weeks. We were able to use her existing residence as security for a bridging loan. The lenders valuer approved the property subject to an approved knotweed treatment being in place prior to completion and the funds were available for drawdown within 10 days. The client was delighted as she was able to secure her move and simply paid the loan back when she sold her property. Find out more about our specialist finance and bridging loan services. To discuss your individual situation and find out how we can help with your bridging finance needs, call our Specialist Lending Department on 0800 098 7177.